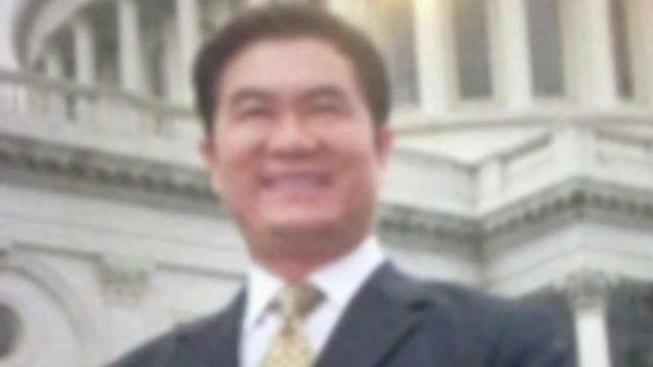 A federal indictment issued Thursday alleges that longtime Alameda County DA inspector and police officer Harry Hu, accepted all-expense paid Vegas trips in exchange for protecting an Asian gang figure. That gang member, Wing Wo Ma, aka “Fat Mark,” has been charged in the 2013 murders that prosecutors say were orchestrated by Asian gang leader Raymond “Shrimp Boy” Chow. Hu was working as an inspector for the District Attorney’s Office until last month. Prior to that, he spent decades working as an Oakland police officer. Sources told NBC Bay Area he has already pleaded guilty to at least one federal bribery-related charge but has yet to be sentenced. Hu’s name is featured prominently in the new federal indictment for Ma. In that indictment, Ma is accused of committing the October 2013 execution-style murders of Jim Kat Kong and Cindy Chen. The two victims were found shot at point-blank range in a drug filled minivan in Mendocino county. Kong was a rival of Chow. In fact, Chow is serving life for racketeering and murder charges, including charges that he orchestrated the murders that Ma ultimately committed. The new indictment also alleges that Ma committed the killings while serving as a government informant during the same time he met Hu. Hu was a highly respected Oakland police officer before joining the Alameda County District Attorney’s Office as an investigator in 2007. Prosecutors believe that between 2008 and October 2013, Ma conspired with Hu to avoid prosecution in the double murder case. The indictment goes on to accuse Hu in a series of crimes, ranging from bribery and fraud to conspiracy to cover up a murder. Hu’s attorney has not commented on the allegations; however, Oakland police released a statement stressing that he left the department in 2007 before the alleged bribery occurred. “The Oakland Police Department is appalled by the actions of former employee Harry Hu, who intentionally chose to serve his greed and desire by associating with criminals and engaging in criminal activity,” the statement says.